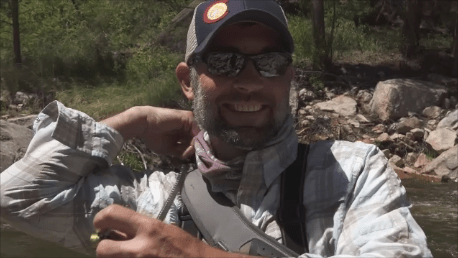 What does that mean – “Rocky Mountain Recon?” Recon – short for reconnaissance. Learning a little something about a person, place, or thing. That’s what this video is all about. It’s a small, yet informative glimpse into this slice of the country. A look at it’s fisheries. A dose of it’s personalities. 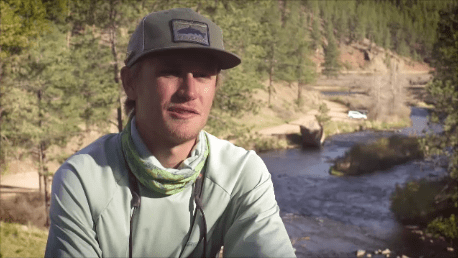 For our 5th episode of Re-Discover Your Region, we travel to the Colorado Foothills – home of fabled, “technical” waters, and my Sweetwater Travel Guide School brothers, Jack Wickman and Cameren Shinabery. It’s a different take on things – featuring guys that started guiding at the same time as me (a little over a year ago). Call it a sanity check a little more than a year after making the decision to guide as a profession. Why do they guide? What drew them to Colorado? What keeps them there? Watch to find out. 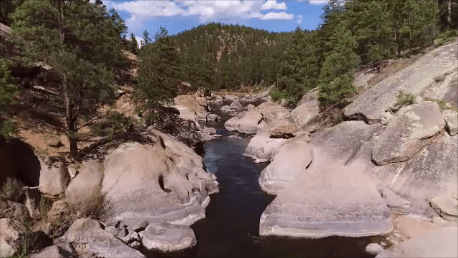 Oh yeah, there’s a ton of incredible scenery and gorgeous trout – a quick glimpse into what this part of the country is known for. It’s kind of weird. Until recently I never visited Colorado. Hell, I think I only landed in the Denver Airport once going back and forth between the east and west coast. 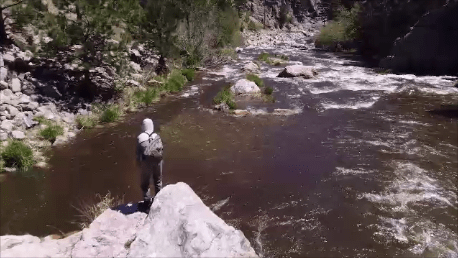 It’s weird because I’ve been a fly angler for some time now and fished three states that border the Rocky Mountain State: New Mexico, Wyoming, and Utah. Furthermore – I’ve read every one of John Gierach’s books (some of them multiple times) and became interested right away. 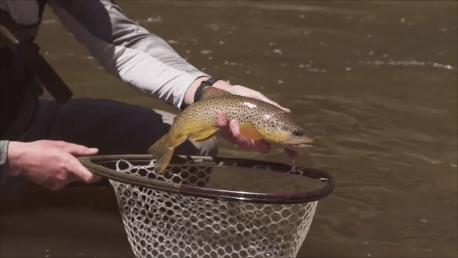 Big mountains, clean waters, wild fish, tons of space, a breed of people far different from my fellow western New Yorkers – what more could an angler ask for? The gravity of things finally pulled me to the Rocky Mountain State. My friends know that once I get an idea in my head, I quickly come up with a plan and don’t come off it until completion. The reality is, I had been thinking about visiting the eastern Rockies for a while and kinda had a plan on the shelf. Two of my fellow students at Sweetwater Travel Guide School, Jack Wickman and Cameren Shinabery, landed guiding gigs in Colorado and I promised them I’d visit. Mother Nature did what she often does and she created an opportunity for me to act on that promise. I know very few people actually read blog posts on social media – I probably lost at least 75% by now so thank you if you’re still with me. If you are one of the rare few who actually read our posts, you might remember our original Re-Discover Your Region itinerary. A Colorado feature was not part of the plan. We were supposed to go to Savage River State Park in MD to feature Tony Lohr. But in the days leading up to the shoot – they received at least 3 inches of rain completely blowing everything out. What now? Between guided trips and other planned shoots, we’re committed every weekend until the end of the summer so if we didn’t shoot this weekend, we’d miss out on an opportunity. That’s when I started geeking out on the USGS waterwatch portal. All I saw were green dots out west and Colorado was in the thick of it. I checked Weather Underground around Golden and Fort Collins, (where Jack and Cameren live) and things looked good. I sent a couple texts to these guys – they had the weekend open. So I called Colt and told him we were Rocky Mountain bound. The rest…well…watch and find out. Please subscribe to our YouTube Channel by clicking on this link. Also – please share this widely because it helps us grow our following and generate interest for more videos. Thanks in advance for your support.